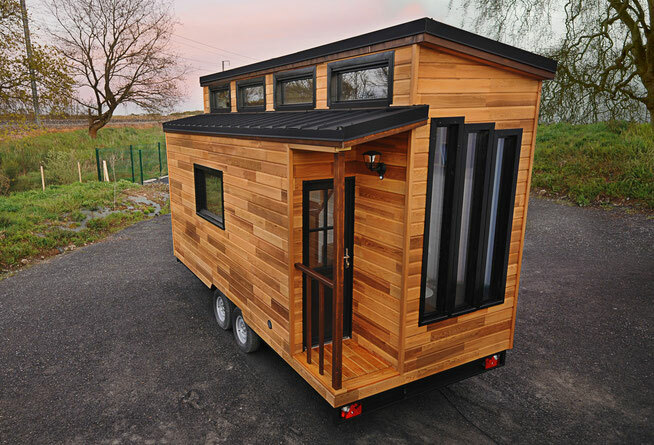 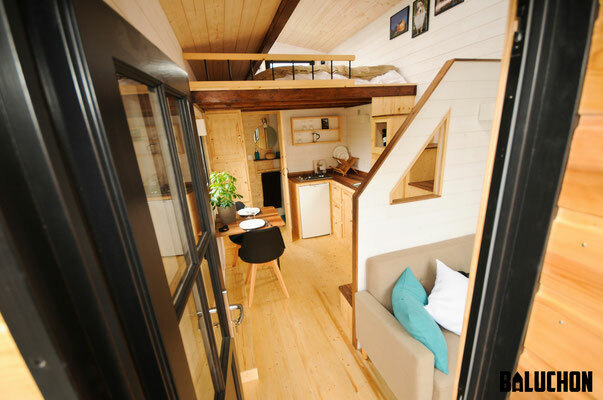 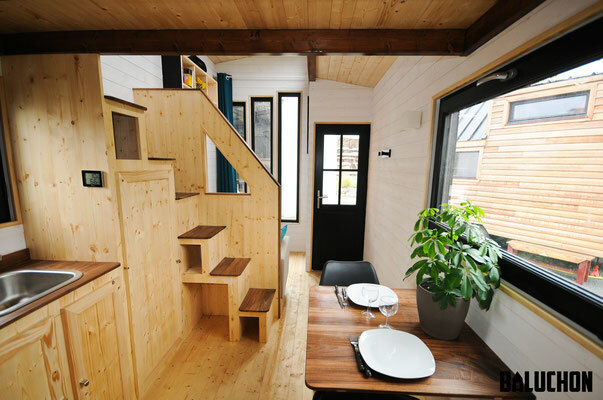 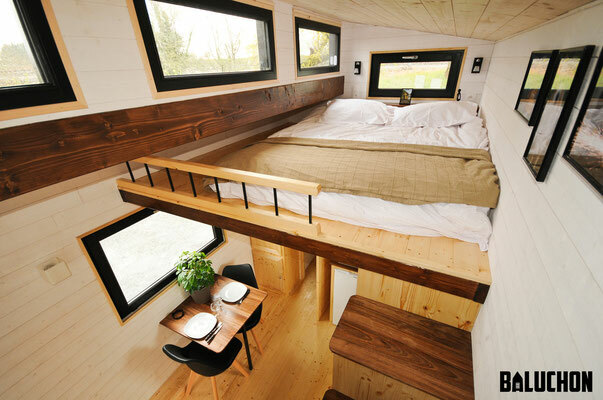 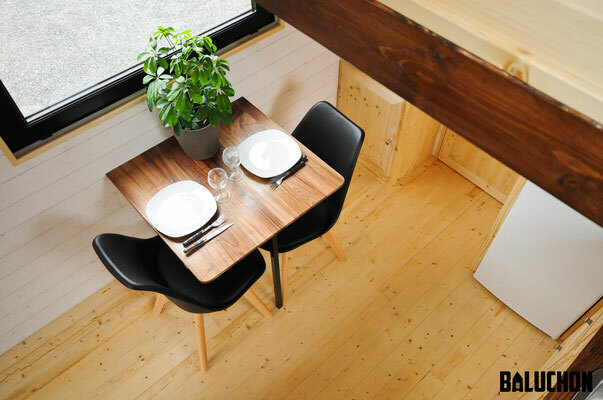 This beautiful, modern tiny house on wheels, named the “Escapade”, measures just 185 sq ft between its loft and ground floor! 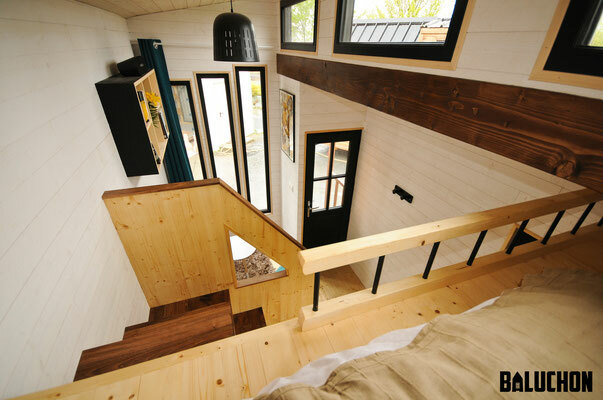 The home’s layout includes a full kitchen, a bathroom, living room space, a dining area, a loft for sleeping. 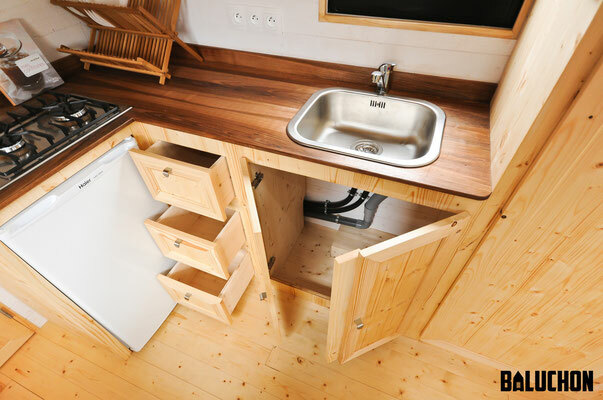 There’s also plenty of cabinet space by the kitchen, and a small front porch. 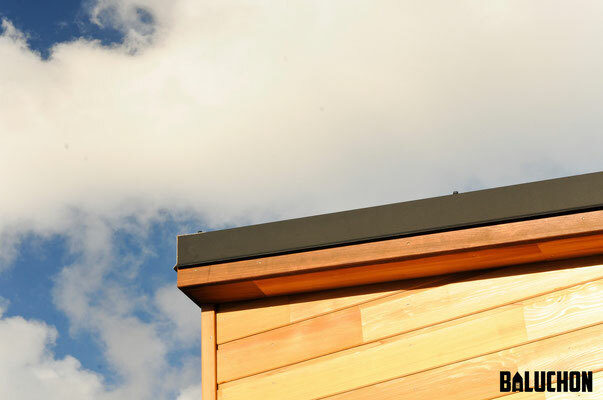 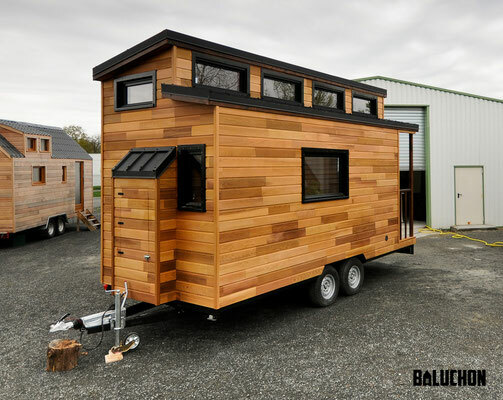 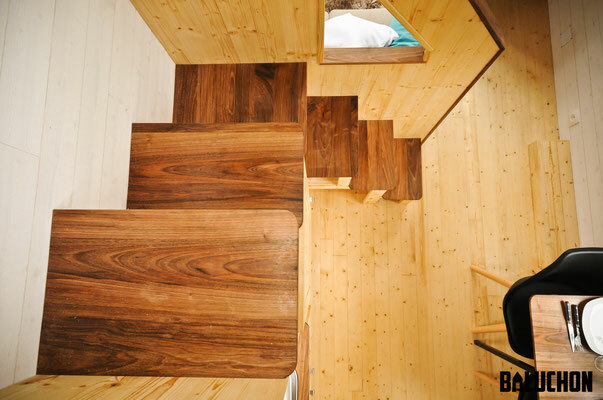 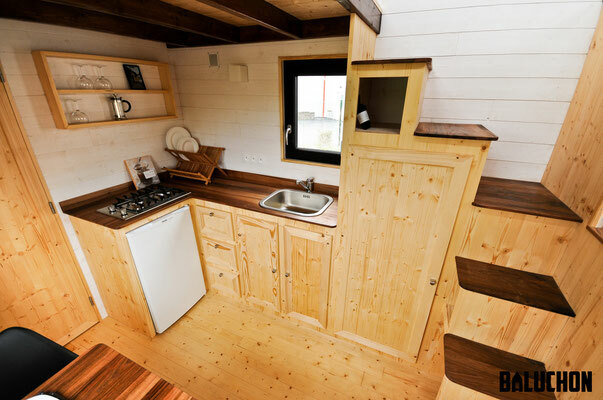 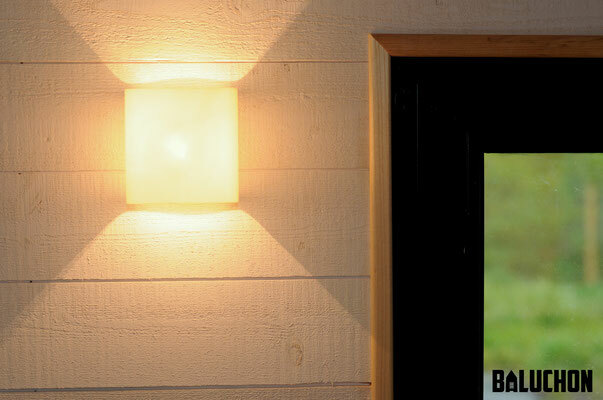 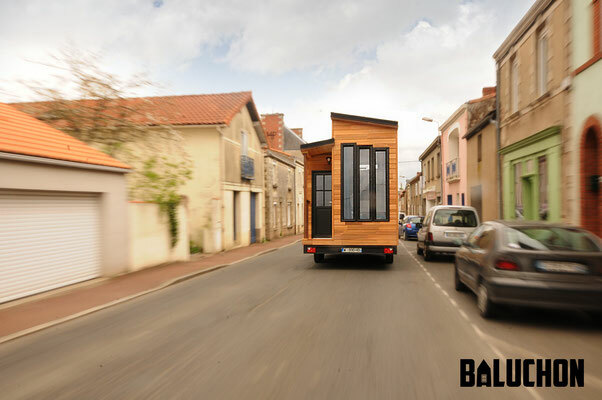 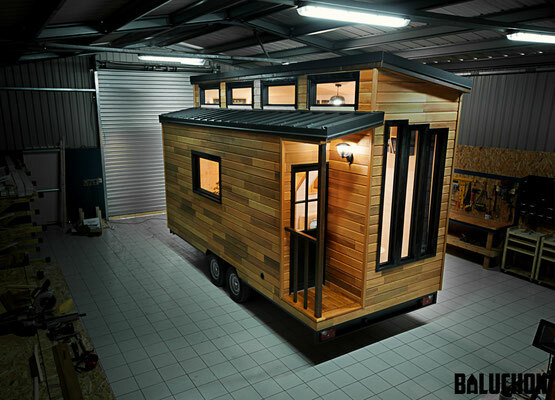 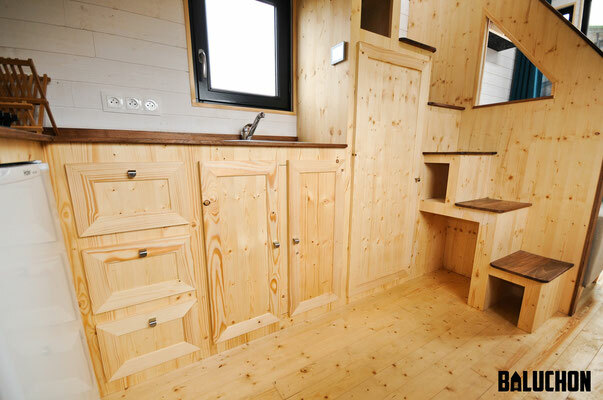 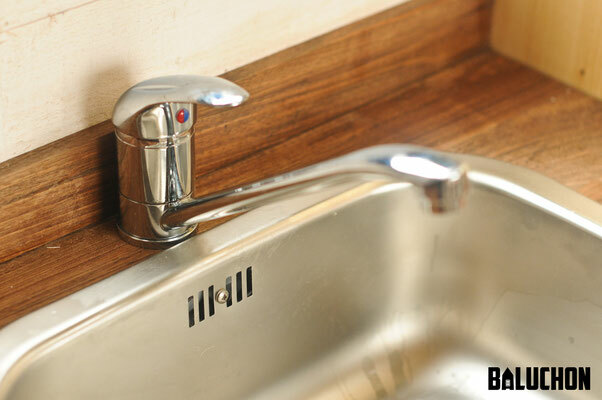 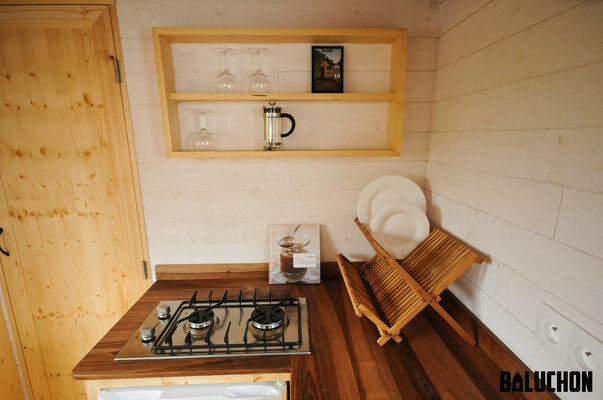 The home is made by French tiny house company, Baluchon. 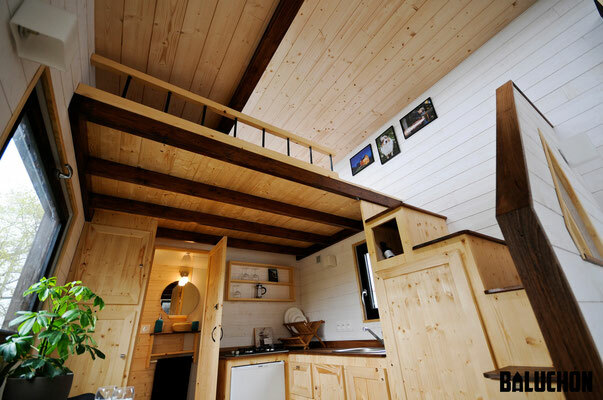 The home is move-in ready and costs 42,000 Euros ($46,826 USD). 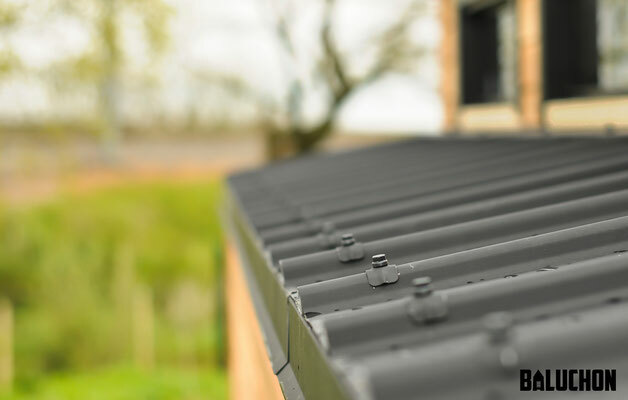 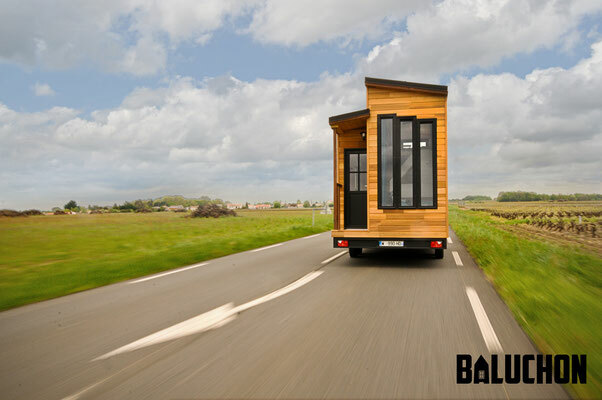 The company will also take care of delivery for you! 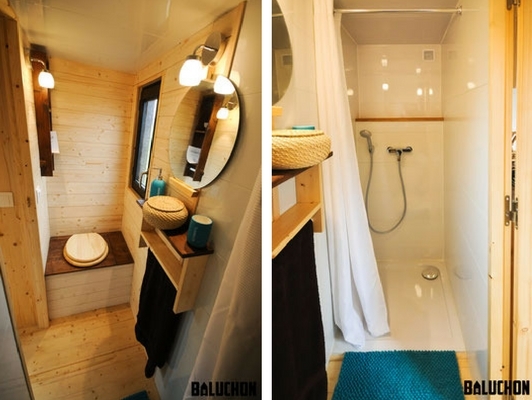 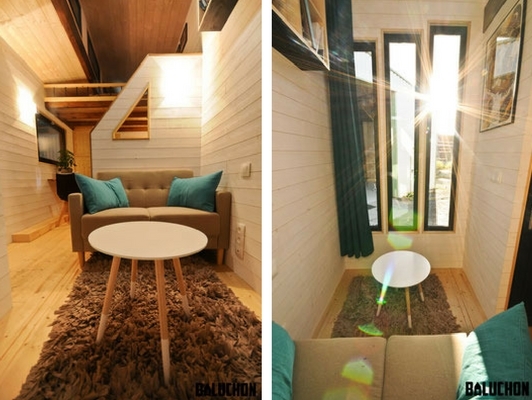 Also, be sure to check out this tiny house, known as Baluchon/Laetitia, also by Baluchon.